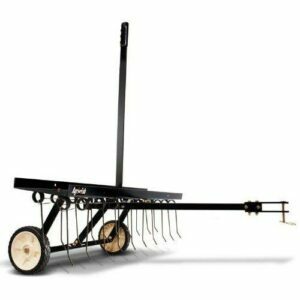 Designed for the largest lawns, this 48-inch model from Agri-Fab employs a set of 24 heat-treated tines to gently but thoroughly get rid of any moss or thatch that have accumulated on the lawn surface. With this done, air, water, sunlight and important nutrients will able to penetrate the turf more efficiently, allowing the grass to thrive. 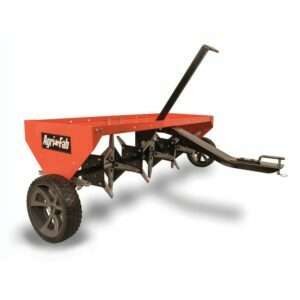 A key feature of the Agri-Fab 45-0295 Spring-Tine Dethatcher is its weight tray, which can take up to 70lbs of ballast for more effective thatch removal. 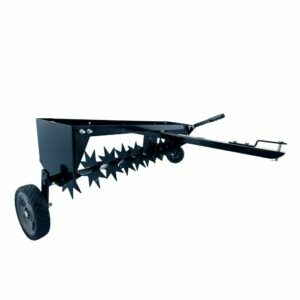 An easy-to-use cantilevered handle allows the tines to be raised for transportation; and semi-pneumatic tyres ensure the unit rolls smoothly, even on rough ground. 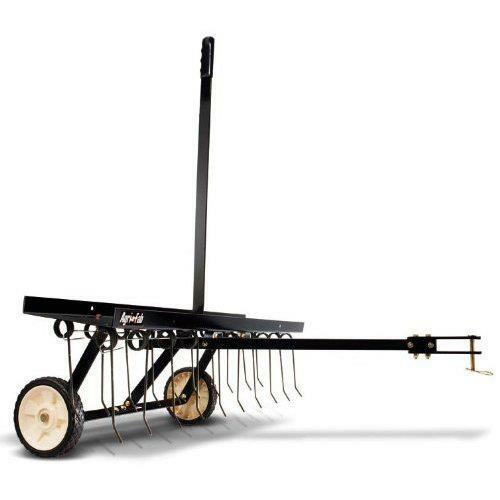 The tines on this model are heat-treated for strength and durability. A universal link-pin is included.